In a bid to increase its organisational strength in West Bengal for the panchayat elections in 2018, the BJP has been providing training to local cadres to strengthen its local-level leadership in most of the zilla parishads, panchyat samitis and gram panchyats. But, according to the party, the ruling Trinamool Congress is doing its very best to mess up that plan by reportedly attempting to poach BJP workers by offering them money and government jobs. This puts a spanner in the works for the BJP as its goal is to train around 50,000 workers in the state so that they remain committed to the party. But in most of the gram panchayats in the state, TMC workers are ensuring that this goal will not be achieved easily. On Sunday, Congress leader Abdul Mannan also laid a similar allegation at the TMC's feet. The Congress has also claimed that Mamata Banerjee is using the police and administration to break all opposition parties. Rahul Sinha, national secretary of BJP said they started the drive in July and hopes that they would be able achieve their target by the end of September. Sinha says that they are highlighting issues such as the state government's failure to fully utilise central government schemes like the Prime Minister Gram Samrak Yojana and the Indira Awaz Yojana to garner votes from the masses in the panchyat election. In earlier panchayat elections, the BJP could only field candidates in around 40% of the seats, but will possibly field candidates in almost all 19 of the zilla parishads in the next election. According to Sinha, party workers are collecting information at various levels on how they to better train their workers so that they are less likely to be poached. He also believes that the training programme will help boost confidence and morale. A senior BJP leader who doesn't wish to be named said that it was only 15-20 days after the training drive had begun that the TMC sprung into action in districts such as Malda, Bankura, Burdwan and began to terrorise BJP workers, leaving them with no option but to support the ruling party. A BJP worker from Bankura confirmed this and said many are now frightened of joining the BJP. Dilip Ghosh, BJP's state president, said that they have trained around 70% of the workers, but are yet to complete the full training programme as training has been stalled by the monsoon in areas like Siliguri and Jalpuaguri. 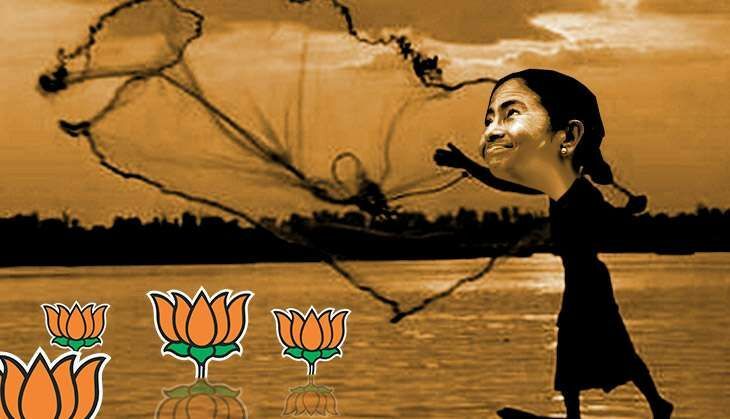 Also read - Bengal bureaucracy changes stance: Does it sense Mamata's downfall?